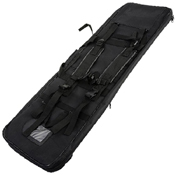 This 39 inch gun bag can hold most medium length airsoft rifles. 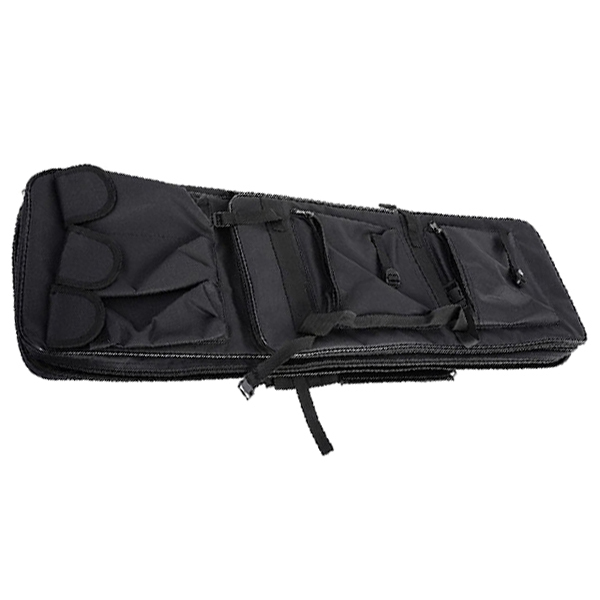 It features velcro straps to keep any stored rifle from sliding around during transportation, an outer bag extension, backpack straps, ID card holder, and four extra external pouches for mags, batteries, pistols, and accessories. 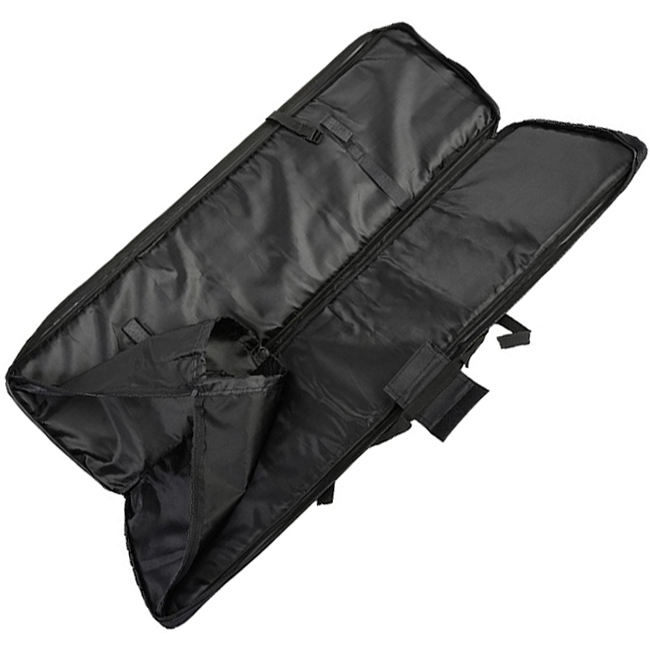 This bag is perfect for storing and transporting all your airsoft accessories and your airsoft rifle.